I am absolutely obsessed with this Canggu gem. As a celiac, I am constantly trying to find great gluten free options with substance and this place hits the nail right on the head. 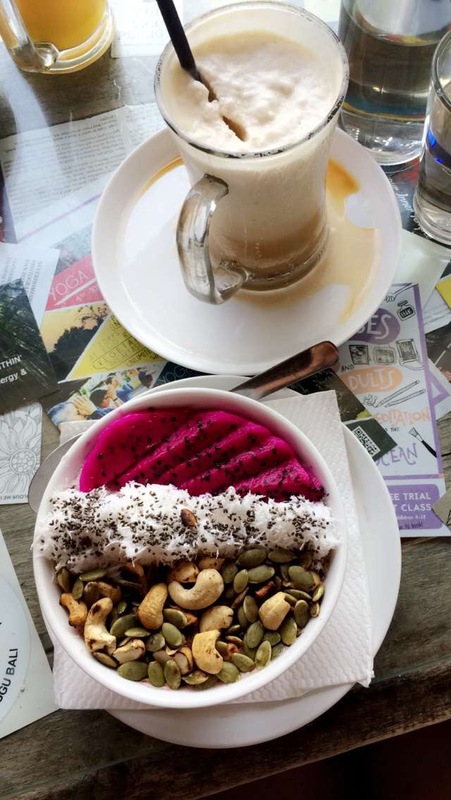 Not only is their coffee fantastic, their acai bowl HipStar – I have to order mine without strawberries due to an unfortunate allergy- has been my obsession since I first laid eyes on it. Steve’s go to is Why So Cereal a frozen banana based smoothie bowl with granola, and when I’m in the mood for something different, the Green Brekkie is the perfect combination of bitter sauteed greens, quinoa and flawlessly poached eggs. Click here to find it in google maps!